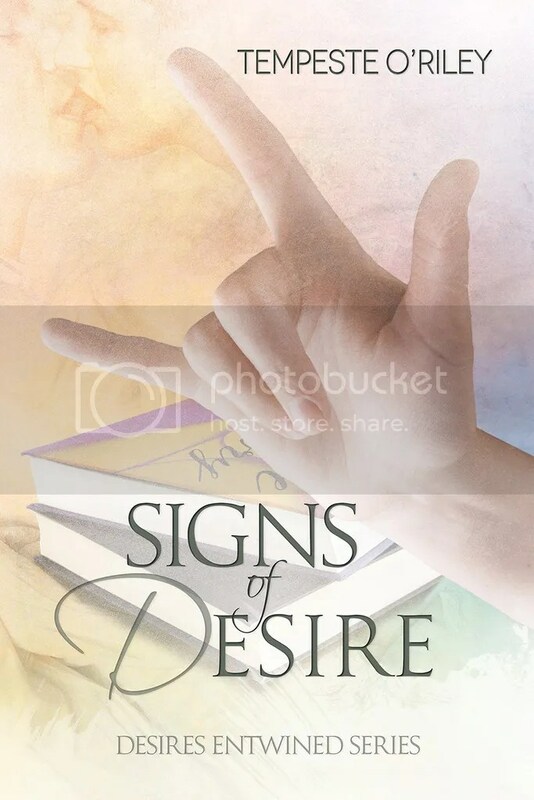 Tempeste O’Riley’s “Signs of Desire” Blog Tour is Here! Welcome Tempeste and congratulations on your new release! Tempeste has a great answer about writing characters to share with us today. Do characters and stories just pop into your head, or do you take your time thinking about them? And how do you make your characters believable? For the most part, they just show up in my head one day. They move in, without my say so, and often without my knowledge until they’re just “there” :/ LOL It’s sort of annoying, honestly. You’re going about your business or sleeping or whatever and suddenly this ‘person’ and their story invades your life, insisting on having you writing instead of whatever you were doing. Mind you, I love writing, but with my health, interrupting my sleep is never appreciated! As for making the characters believable… that comes from the fact they are just people. Yes, I ‘make’ them up and all, but really, they are just like the guy down the street or your neighbour or your professor or… … …. I try to make sure that even when my characters are paranormal, they are still rooted in the real and normal enough that you could meet them on the street and it not be odd. I want you to read the story and see you within (and find hope, love, joy, etc. as well). Can’t wait until I can get this one! Love books with deaf/hard of hearing characters. BEing HoH myself it’s hard to find books with others in literature! I’ve never been the victim of match making and never will be, thank you 😉 The book sounds quite good and I’m looking forward to getting my paws on it. Congratulations and much success!